Airports can be an interesting place to meet folks. Just last week as we were starting the journey back from Thailand, I struck up a conversation with a young couple in the Phuket International Airport. Turns out, they also lived in Atlanta working as doctors fresh out of residency. When I told them I was a financial planner, they ruefully joked that they couldn’t wait to start investing, but it would be ages until they paid off their student loans. They are only one of many that I meet who feel that way, but is paying down your student loans before investing for your retirement the right thing to do? Here’s a heavy-weight factoid: 62% of young adults pursuing a Bachelor’s degree have taken on debt according to the Federal Reserve in 2017. That means you are officially far more likely to borrow money to pay for your higher education than not. That number gets even more eye-popping when you consider the jump up to 75% for those pursuing graduate degrees. And we wonder why the cost of college goes up faster than wages… but that’s a story for another day! With that in mind- it’s no surprise that student loans are an important topic when working with young professionals and families on their financial plan. For a lot of these people, it’s the first debt they’ve ever had, and it can be uncomfortable! No one likes owing money, it can be a dark cloud that looms over future purchases and decisions. Most clients will inevitably ask, “Should I hold off on my retirement contributions and focus on paying off my student loans?” It’s an important question! One that can have some high-dollar implications years down the road. For purposes of this exercise, let’s assume you’re 25 and starting out with $50,000 in student loans with an average interest rate of 5.50%. You’d like to have these paid off in 10 years. The current undergraduate rate for Federal Stafford loans is 5.045% and the graduate rate is 6.595%. One of your first moves should be to see if refinancing to a lower rate is a possibility. Companies like SoFi and Earnest have variable rates as low as 2.55% and fixed rates as low as 3.89%. For simplicity’s sake, let’s say you refinance your entire loan to 3.5%. With that simple move, you would be able to reduce your monthly payments by $48 a month and save $5,784 in interest! Conversely, you could keep your monthly payment the same, pay off the loan in 9 years and save $6,786 in interest. Okay, we can now say it typically makes financial sense to consolidate your student loans into as low an interest rate as possible. So let’s circle back to the question that brought us here initially. Should you prioritize paying off your student loan and then contributing to your employer-sponsored retirement or should you contribute to your 401k? Building on the previous example, let’s say that you have now refinanced your $50,000 loans to 3.50% and are eager to start working down your debt. You have a job that pays you a nice round salary of $50,000. Your student debt is weighing on the back of your conscious, and you would feel guilty saving for retirement with this outstanding. You decide to put an additional 10% of your salary towards student loans. You commit that $417 ($50,000 x 0.10 = $5,000/12 = $417) a month making extra payments to pay down your student loans totaling a payment of $911/month ($494 + $417). How about that! You were able to cut your loan term down from 10 years to just 5 years while saving $4,764 in interest! After paying off your loan in those five short years, you then decide to commit the next five years to put the payments that you used to make towards your student loans ($494) instead towards your 401k, meaning you also receive the company’s offered 3% match ($50,000 x 0.1 = $5,000 + $1,500 = $6,500/12 = $541). 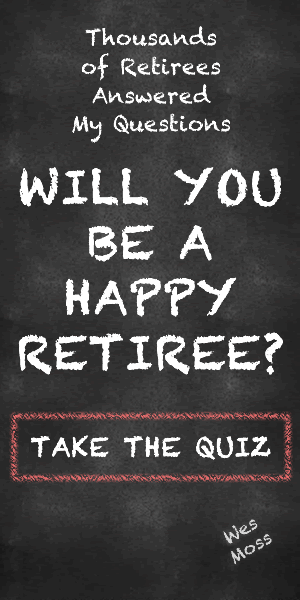 This means that every month you’re contributing a total of $1,035 ($494 + $541 = $1,035) towards your retirement. Assuming a 9.8% year-over-year return over those five years, the long-term average of the S&P 500, your 401k balance is almost $80,000. Not bad! But again, was that the best use of your assets? After refinancing you pay your normal student loan payment ($494) over 10 years, while at the same time you start contributing 10% plus employer match to your 401k ($541). Contributing to your 401k while still paying off your student loan puts your 401k balance after ten years at $109,696. This is ultimately almost $30,000 more than if you had paid off your student loans before starting to contribute even at a higher amount ($109,696 – $79,725 = $29,971). Here’s the real kicker, that money is in a long-term retirement account that can’t be touched until 59.5. Let’s assume you don’t contribute another penny to your 401K after this ten-year experiment. After 25 years your retirement account is now looking quite flush at $1,135,662. Let’s compare that to having waited to contribute to your 401k just five years. Let that sink in. That is a difference of $310,284. While there is a strong case to invest in your retirement even with a student loan, financial planning and decisions like this aren’t black and white. Some folks have a higher tolerance for debt. Some have a higher tolerance for market volatility, which would be necessary for an all-stock portfolio until 60. Some might not be able to refinance their loans. As I told my newfound doctor friends before we all hopped on a painfully long flight home, be sure to sit down with a professional to see if prioritizing your 401k or student loans makes more sense for you. This information is provided to you as a resource for informational purposes only and should not be viewed as investment advice or recommendations. Investing involves risk, including the possible loss of principal. There is no guarantee offered that investment return, yield, or performance will be achieved. There will be periods of performance fluctuations, including periods of negative returns. Past performance is not indicative of future results when considering any investment vehicle. This information is being presented without consideration of the investment objectives, risk tolerance, or financial circumstances of any specific investor and might not be suitable for all investors. This information is not intended to, and should not, form a primary basis for any investment decision that you may make. Always consult your own legal, tax, or investment advisor before making any investment/tax/estate/financial planning considerations or decisions. Please note this piece we used the S&P500 instead of the normal “conservative” return as this article is geared towards a younger investor likely investing in the S&P500 as opposed to a typical income portfolio.